With Rotesserie function for grilling full chicken. With kebab/BBQ function for making kebabs, hot dogs, and grilling cubed meat. 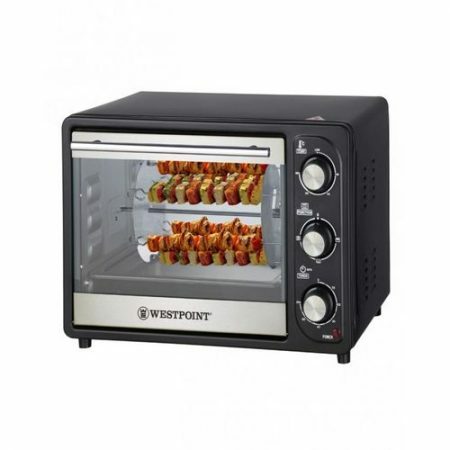 Ideal for grilling, roasting toasting and baking.